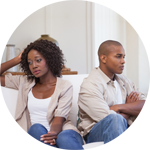 If you are experiencing difficulties in your relationship, you are not alone. Millions of couples all over the world, go through periods of discomfort, discontent, distrust, worry, stress, anxiety, and more. We know you can think like you are alone, but we want you to know you don’t have to try to manage the strains on your relationship alone. Grief Recovery Center has a team of dedicated and highly trained professional Houston couples counselors to help you and your partner navigate. We can help you can come together and become stronger. Our licensed marriage and family therapists (LMFT) is trained to help romantic partners identify what is causing them grief in their relationship. They work together with you and your partner to come out of the issues on the other side feeling more secure about your partnership and having a clear vision of how to manage things for the future. There’s no need to try to go at it alone when there is a highly skilled and experienced Houston therapist waiting to help you. When couples are able to identify the source of their struggles, they are better able to equip themselves to deal with them. Working with our LMFT, you and your partner will be able to dig deep into your relationship and discover things about yourselves you might not have even known were there. Working to repair it is our number one priority, and we know it is yours too; otherwise, you wouldn’t be seeking help. We know how it important it is to you to find resolutions and solutions everyone can live with and look forward to implementing as it continues. It can be hard to move past a situation in which one partner has been unfaithful to the other, but for those who want to try to work through a situation in which an affair has occurred, seeking help can be a great deal. If you have made the decision to seek help, then you have likely begun to accept that there is going to be a lot of work involved, but it is not impossible to move past this kind of incident in a relationship. The key to success here is communication, and both partners have to want to move past the incident. Our LMFT can work with you and your partner to identify what was good about your relationship so you can start to rebuild it together. Rebuilding trust can take time, but if both partners are committed to making things work, then our couples sessions can help you. It is not uncommon for either partner to say they have grown apart over the years. After all, people change and they see the world differently over time. 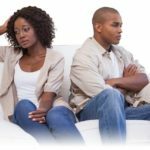 These changes can have a major impact on the success of a relationship if partners aren’t willing to work through the changes together. When you decide to work with a counselor at Grief Recovery Center, you’ll be able to work on your relationship, discover more about yourself, and find ways to communicate better together. People often find it hard to talk about how they have changed, and many partners find it easier to blame the change on someone else. By taking ownership of changes you have experienced, you can learn to present yourself in a way that makes you more confident and proud of who you are and your partner can work with you to learn to accept these “new people”. With our LMFTs, we provide a safe place to express your feelings. Couples guidance works in a number of ways, but the most common approach is to start with an assessment of the relationship itself. This assessment can include information about your history, and the dynamics that are at play in your between you two. You might explore your family history with your partner and vice versa. You’ll have a chance to discuss your values and what you wanted for things in the beginning and how those things might have changed over time. Finally, you and your partner might explore factors that are influencing your relationship, both good and bad. It’s also important to discuss individual issues that could impact the relationship. The assessment interview helps your counselor to understand each partner as an individual and not just a function of the relationship that is at stake; this information helps to influence each session, and our experience has shown that outside assessment of a situation can often shed light on underlying factors and issues that might be impacting the two but weren’t previously discussed. Every session is different. What partners expect to discover and what they discover are often two very different things. It is a personal process that involves a lot of trust and patience on behalf of the couple, as well as the counselor. You need to be willing to trust the process and be uncomfortable with parts of the therapy sessions so that you can get the most out of your sessions. You’ll also be able to make decisions about your family and how to move forward in your relationship. The Sky’s the Limit for Your Change! If you are attending sessions, the one thing you need to bring with you is an opened mind. You cannot expect to change anything about yourself or what you and your partner have if you don’t open your mind to the possibility that you might be part of the problem, or you might be perpetuating behaviors that you don’t like, or that you might not want to save it at all. You need to be willing and open to talking about the hard things, and about celebrating the good things in your relationship. Your LMFT will be able to help you maintain a space for an open mind during your sessions so that you and your partner can get the most out of your therapy to improve your relationship, become closer, and reach your unity goals. Sometimes, it can be difficult for one or both partners to express their thoughts, feelings, worries, anxieties, dreams, and hopes for the relationship. In order for couples sessions to be effective, each partner needs to do their share of the work when it comes to communication. It is the most effective tool in the partner guidance toolbox, and your LMFT can help you express yourself in a way that is both effective and nurturing. Does Counseling for Couples in Houston Really Work? If you have your doubts about whether or not this form of guidance might work for your partnership, there is much evidence to suggest that seeking this form of help does work for many people. The key to success is your willingness to work through problems together, rather than apart. How Often Does Marriage and Couples Counseling Help Really Work? The American Association of Marriage and Family Therapists reports that more than 98% of partners who have gone through couples guidance reported receiving good or excellent sessions that were helpful. More than 97% of those who went through this program said they received the help they needed to move forward. Finally, more than 93% of participants who attended said they had more effective tools for handling issues in their togetherness as a result of attending these sessions. What’s more, they worked to improve other areas of their lives as well: when they weren’t stressed about their relationships, they were more likely to be in better health, have better work function and productivity and be happier in general. If you are experiencing these difficulties, or you are having trouble moving past them on your own, contact Grief Recovery Center today to speak to our friendly and respectful staff. We’ll help you set up an appointment with our LMFT so you can start on the road to healing your relationship. To schedule your appointment, please click here. Contact Grief Recovery Center to schedule a phone consultation by calling us at (832) 413-2410 today.